Fiber optic fusion splicing is the process of joining two bare fiber optic strands. The process of fiber optic welding involves preparing the fiber optic cable by removing the out jacketing and buffer layers, cleaning the bare glass, and introducing them to a high heat source that bonds them together. 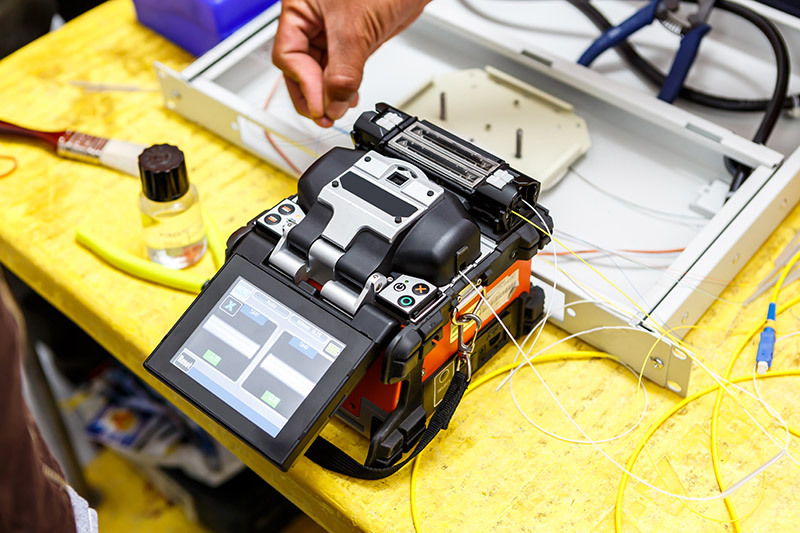 Fusion splicing has become a vital part of the telecommunications industry as the most reliable, long-term method of splicing fiber optic cables while offering minimal amount of light loss (attenuation). Gettle’s industry-certified professionals, including multiple certified Registered Communications Distribution Designers (RCDD) as well as several BICSI-certified (Building Industry Consulting Service International) technicians, use the latest technology to deliver custom solutions tailored to each project’s unique specifications. Reach out to the team to learn more about our fusion splicing capabilities.